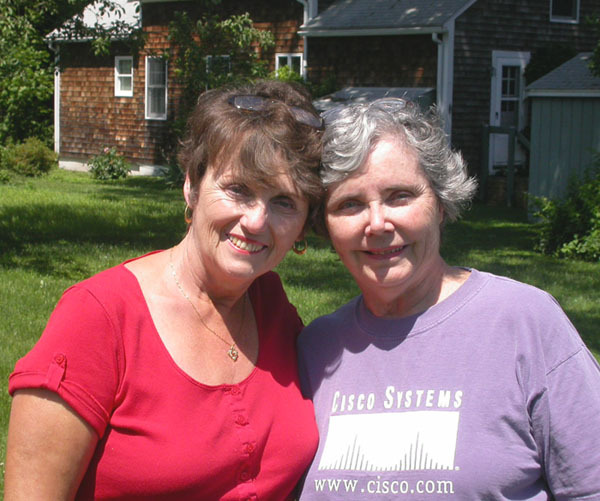 Cynthia was my next door neighbor in 1963 when I lived with my Uncle Frank in Jamestown, a beautiful island off of Newport. During that short year we had a lot of fun and became life long friends. 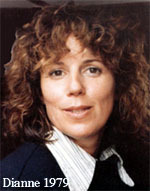 In the 70's Cynthia moved to Houston, Texas where she worked in the Space Program. Cynthia's recipes include: her mom Astrid's Swedish Pancakes and Cynthia's Brisket Houston Style in Oven. I made Cynthia's brisket for friends who helped Young Bruce and Maddie move, and they loved it. Cynthia, now retired, enjoys traveling with her husband Jim and visiting with her grandchildren. She especially enjoys trips back to Rhode Island. During latest visit, Cynthia arrived with Striped Bass and Quahogs dug in Jamestown. See [Striped Bass in the Style of Ed] and [Eileen's Striped Bass and Quahog Chowder]. 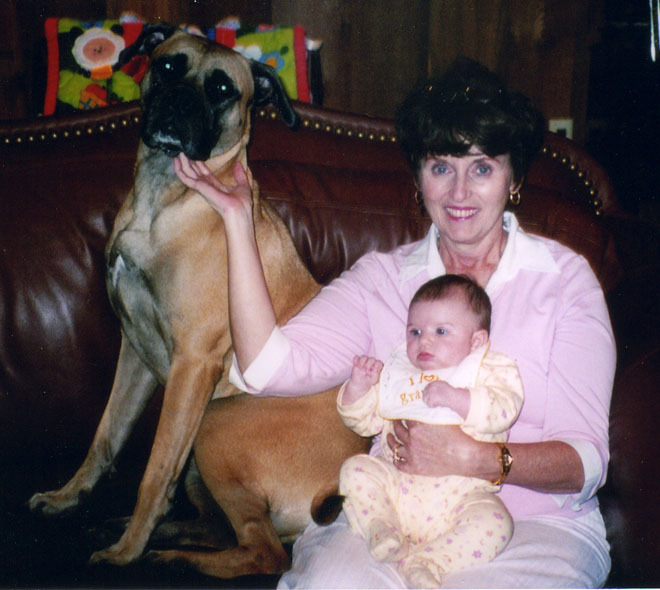 Cynthia at her son Danny's house in Texas with granddaughter Alli and Molly 2004.